Picking up from 6 Steps to Improving Your Credit after Bankruptcy (Pt. 1), here are a few more things you can do to start boosting your credit and improving your financial standing in general after filing for bankruptcy. Improving your credit after bankruptcy involves showing lenders that you can responsibly use credit. Here are some specific tips that can get you started. Step 3: Open one new line of credit and be responsible with it. Although opening up a number of new lines of credit after a bankruptcy case is not necessarily the smartest decision (and there may be some specific things borrowers have to do in order to qualify for new lines of credit), the fact is that having one new credit card after bankruptcy and using this line of credit responsibly can be a powerful way to quickly start boosting one’s credit after a bankruptcy case. Do their best to only use the credit card for certain purchases (in order to limit the charges made on this card). 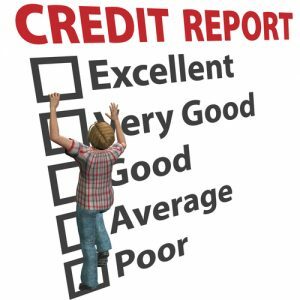 When borrowers follow these tips, they can show creditors that they are able to responsibly maintain their open lines of credit, which can not only lead to them getting better credit offers but also to them slowly starting to improve their credit scores after bankruptcy. Step 4: Don’t carry a balance on any credit cards you have. One of the easiest ways to negatively impact your credit is to carry a balance on your open lines of credit from month to month. For borrowers who are trying to improve their credit after bankruptcy, this can be extremely detrimental because, in the eyes of lenders, carrying a balance from month to month can be perceived as not being able to responsibly use credit. Therefore, if and when you decide to take out a new credit card after a bankruptcy case, make sure that you only charge as much as you are able to pay off each month. You can force yourself to stick to this spending habit by only using your credit card to buy, for instance, gas for your car. Don’t miss the conclusion of this blog for some final tips on how to improve your credit after bankruptcy. At Lindquist-Kleissler & Company, LLC, our Denver bankruptcy attorney tailors his services the individual client’s needs and the specific circumstances of a case. This means that our clients can always count on us to bring a fresh perspective to their bankruptcy matters and to examine non-traditional options for their cases. Regardless of the specific services provided, one of the factors that never changes is our commitment to helping our clients resolve their cases+**-57/98 as efficiently and favorably as possible.